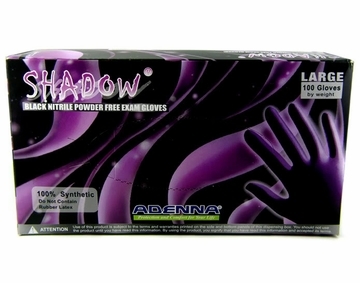 The Shadow is a Black Nitrile Exam Glove. 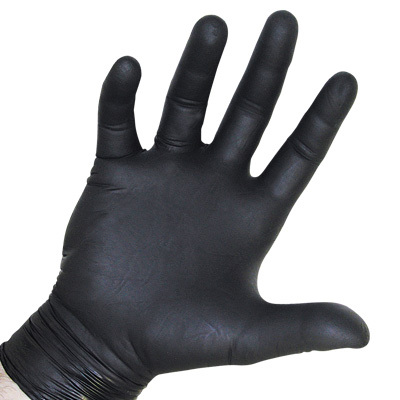 This is the Only Affordable Nitrile Black Exam Glove on the market today. Great for Police, Fire, EMS and Tattoo we just started carrying this glove and the response from our customer's has been nothing but positive feedback. GloveSaver.com Offers our customers a quality brand name Black Nitrile Exam Glove guaranteed for 1 year with a 30 day no hassle money back guarantee . All of our gloves come 10 boxes to the case to save you money .. Shop with GloveSaver.com and see the difference in our Phantom Black Nitrile Glove.